Virabhadra is a legendary character made by Lord Shiva, and this posture gets its name from that point. 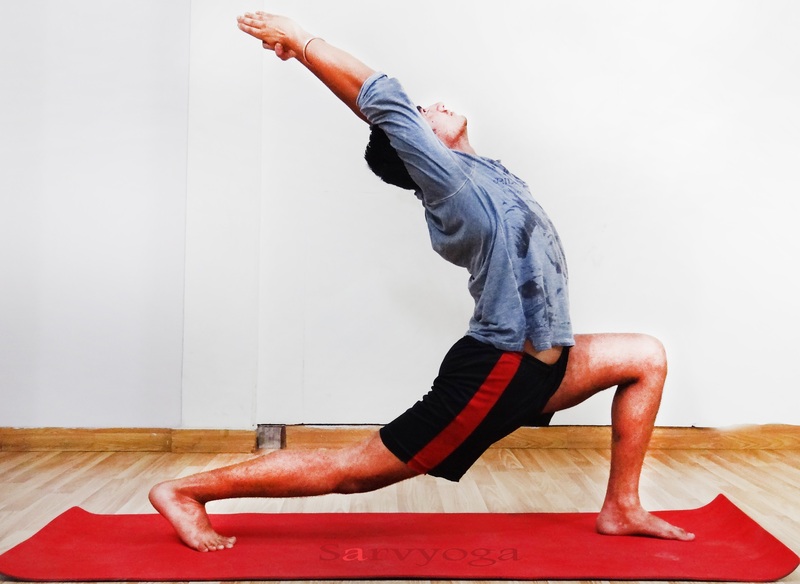 Virabhadrasana has profound established history and mythology connected to it. Meaning of “Vira” is hero, warrior, vigorous, courageous; “Bhadra” means –Friend, good, auspicious and ‘Asana’ means seat, pose or posture. 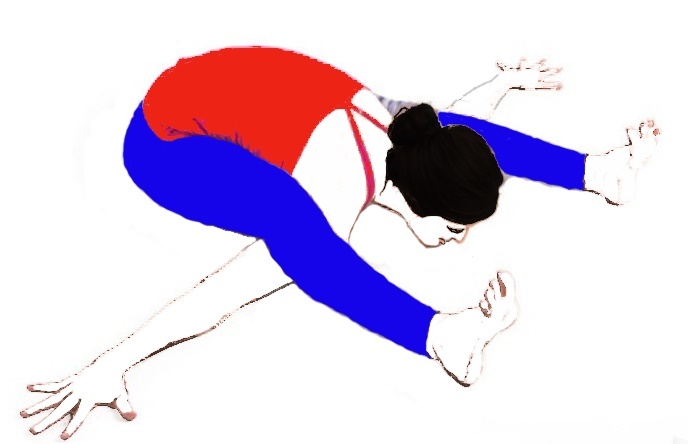 This pose is divided into three parts type 1, type 2 and type 3. Pronunciation of Virabhadrasana is veer-ah-bah-DRAHS-anna. The consideration goes express this. There was a well know powerful king named Daksha Prajapati and he was the father of Sati. Once upon a time king Daksha kept a religious ritual (Yagna). He invited everyone in this ritual but he didn’t invite the lord shiva and his wife Sati. She couldn’t manage the defamation and affront by his father, so she jumped into the venue, strolled into the flame, and smoldered in it. When her spouse touched base at the venue and discovered his dearest wife dead, he was disheartened and rankled. He pulled out a strand of his hair and beat it to the ground, from which climbed an intense warrior. He named this warrior Virabhadra and sent him to kill Daksha and every one present at the ritual. The Virabhadrasana Type I is an asana respecting the accomplishments of a fanciful warrior. Subsequently, it is additionally called the Warrior 1 posture. This asana is thought to be a standout amongst the most agile stances in yoga, and it includes a mess of excellence to the workout. First stand straight and spread your legs; keep a 3 to 4 feet distance between your legs. Keep your right foot in the forward direction and keep the left foot back direction. With your right leg turn outwards at 90 degree and keep left leg by 15 degrees. Place your heel of the right leg is completely parallel to the midpoint of the left leg. Raise your arms up to the height of shoulders. Keep your arms parallel to the ground with palms facing upward. Breathe out and twist your right knee in a way that knee and ankle makes a parallel line. (Ensure that your knee does not go ahead in front of your ankle). Look to your right side. Now stretch your arms and join your palms above your head (Make a salutation pose or Namaskar pose with your palms above the head). Keep looking at your palms and slowly push down your pelvis. Hold the pose with the same determination as a warrior, andwear a smile on your face. Breathe normally and keep going down. Remain in this position for a moment; with the feeling that you are a warrior. Breathe normally in and come to the standing position. Breathe out and slowly put your hands down. Repeat this Asana from your left side (look at your left side), by putting your left leg in forward direction and right leg at the back. (Opposite to the earlier process). It strengthens and tones your lower back, legs and arms, and the legs. It Strengthensyour Thighs, Ankles, Calves, Shoulders, Arms and Back. It stretches your Navel, Ankles, and thighs, Groin, Lungs, Thorax, Calves, Shoulders and Neck. It is likewise an incredible asana for those who are in sedentary jobs. Useful for digestive system and spinal. This asana backs off solidified shoulders. It additionally discharges stress from the shoulders very quickly. It relaxes the mind and the body. It spread the thought of strength, peace, elegance and a feeling of auspiciousness. In every Asana there is one important think “Sthira Sukham Asanam” Sthira means steady and Sukham means happy or convenience .It means when you attempting any pose you should be feel comfortable, steady and happy. 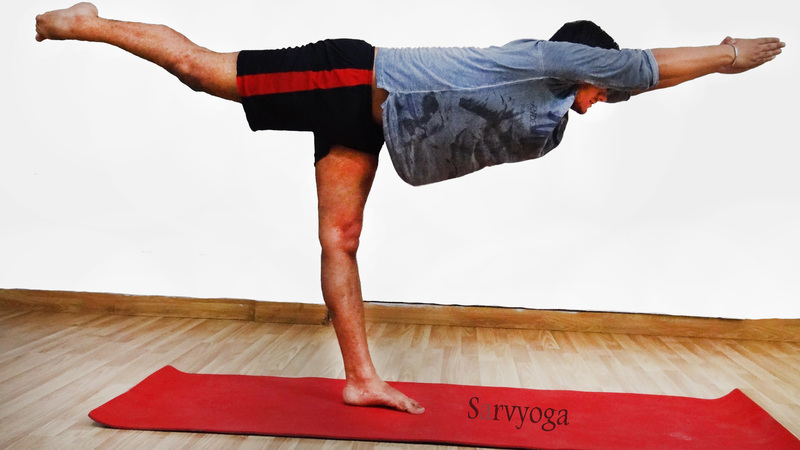 The Virabhadrasana manages both the Sthira and Sukham of your body. In this Pose, holding the back arm lifted and the back foot grounded animates the mindfulness. First get into the standing position keep your body straight. By your legs keep a distance of 3-4 feet between each other. Breathe in and lift up your both hands. 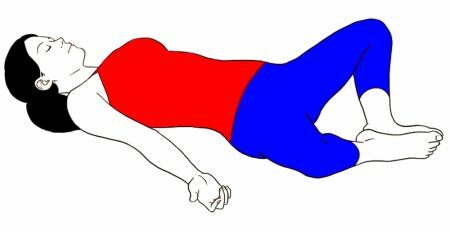 (Keep your hands parallel to the floor or ground) and turn your head to the right side. Now gently bend your right knee little bit downward to the ground. Ensure that your right thigh ought to be parallel to the floor or ground. Remain in this Pose for 30 seconds and breathe deeply about 3 to 4 times. After that breathe out and slowly down your hands and come to the standing position and breathe normally. After this attempt the same steps with your left leg by turning your head to the left side. This Pose stretches and strengthens your legs and ankles. It helps to stretch the chest, lungs, shoulders and groins. It helps to improves the digestive system and provoke the abdominal organs. Relieves in any kind of backaches. Good exercise for pregnant women. (Pregnant women who are in their second and third trimesters. But they must have consulted with a doctor and concern yoga expert before doing this pose). It is beneficial in the problems of osteoporosis, flat feet, carpal tunnel syndrome, infertility and sciatica. 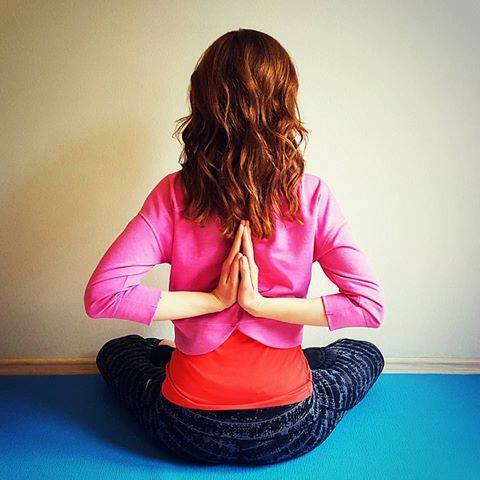 This pose spreads courage, peace, calmness and auspiciousness to the mind and body also. It is an extremely comfortable pose to do. This Pose is a dynamic standing Asana and, as in the Triangle Pose, that is well known for stamina and a touch of exertion. It is an intense stance conveying with it numerous advantages. First get into the Tadasana (Mountain pose), step your right foot forward and transfer all your weight onto this leg. Breathe in, keep your arms over your head and interlace your fingers with your index finger pointing up. Breathe out as you breathe out; raise your left leg up to back direction, pivoting at the hips to bring down the arms and trunk down towards the ground. Keep your eyes down at the floor and gaze at a particular point for balancing. Connect through the left toes and the crown and fingers making one straight line. Now breathe and remain in the position for 2-6 breaths. Breathe in and slowly down your arms and leg back to the floor. And get back into the Tadasana. Rest for a while. And repeat this process with your opposite leg. It stretches the muscles of the thighs and hamstrings. It strengthens back muscles, legs, shoulders and arms. It stimulates the abdominal organs and improves your digestion. It tones and relaxes your whole body. It strengthens the abdominal muscles, spinal and pelvic. In case of spinal problems or chronic illness avoid this Asana and consult a doctor before attempting this pose. Lift your arms and keep them parallel to each other if you have shoulder pains. Do not look up towards your hand after stretching them in case of neck problems. Use the support of a wall if you have knee pain or suffering from arthritis. People having high B.P. or heart problems do not practice this pose. First concern a doctor, Exercises for Urethral Stricture: – Half Tortoise pose (Ardha Kurmasana), Mandukasana and Vajrasana is best for urinary related problems. Yog Asana for Foot drop: Chair pose, Hands to feet Pose, Mountain pose, surya namaskar and Palm tree pose. Thanks for your comment. Keep in touch with us.